Optical Express, the specialist healthcare services business headquartered in Cumbernauld, Scotland has continued its growth with a £32M increase in turnover to £207M as predicted earlier in the year. Following the development of a new customer contact centre in Glasgow, the business has consolidated its position as a market leader in the specialist healthcare industry. DCM (Optical Holdings) Limited (known commonly as “Optical Express”) posted an ‘as predicted’ set of results for 2008 whilst noting ‘trading is tough but we remain cautiously optimistic for 2009’. Optical Express is now regarded as a world leading provider of laser eye surgery and one of the world’s top ophthalmology businesses trading in 10 countries from over 200 locations. 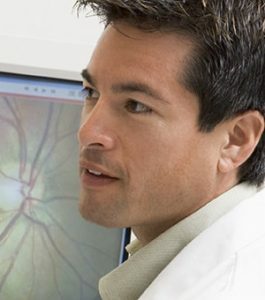 The group offers a range of professional services, clinical treatments and retail products including optometry, refractive surgery, dentistry, cosmetic surgical and non surgical procedures, orthopaedic surgery, health screening and well being services. “The Group continues to trade strongly, but it’s tough in this current challenging climate. We do however remain cautiously optimistic anticipating being slightly ahead of our 2008 results. Our mantra is to offer no surprises to our share and stakeholders; in a retail market facing enormous economic turmoil our core focus is on customer service, retention and acquisition whilst maintaining an ever watchful eye on our cost base. We remain focused on consolidating our position as market leader and in preparing for any upturn that may or may not be on the horizon. As for further acquisitions whilst not ruling them out completely, our focus right now is on lower risk organic growth and operational execution. 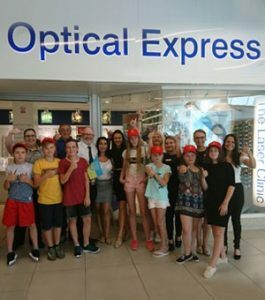 Optical Express was delighted to welcome the Chernobyl Children’s Lifeline to our Maidstone store!